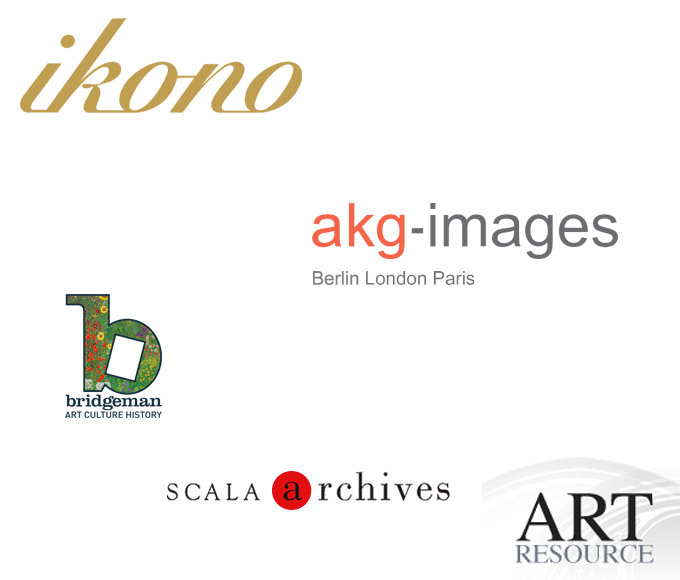 Cameraphoto Arte has established worldwide partnerships with major libraries and photo agencies specializing in art, architecture and history. Its images are thereby accessible globally online via our partners' websites. Initially with Art Resource in New York and AKG (Archiv fur Kunst und Geschichte) in Berlin in the early 1990s, agreements followed with Giraudon in Paris, Orion Press in Japan, Pacific Press Service, Goro Int. Press and AJA in Tokyo for a defined period, and then with the Bridgeman Art Library in London and Scala Fine Arts in Florence. Most recently, Cameraphoto has started a partnership with Ikono, an innovative media platform founded by Elizabeth Markevitch, dedicated to democratizing art through the production and broadcasting of short films that present art to the wider public.